Now, UCLA researchers have shown, for the first time, that speedy treatment with a new-generation stent clot retrieval device results in greatly improved outcomes, and that even a five-minute delay negatively affects patients. The one-year study found that when blood flow was restored to the brain within four hours of the start of a stroke, 80 percent of patients had a very good outcome — meaning that they survived and were able to live independently three months later. The researchers also found that the odds of a poorer outcome increased by one percent for every five minutes that passed between the onset of a stroke and the time when doctors reopened the blocked artery, according to Dr. Sunil Sheth, a fellow in radiological sciences at the David Geffen School of Medicine at UCLA. The study results appear today in the peer-reviewed journal Annals of Neurology. In recent years, doctors’ ability to restore blood flow to a patient’s brain after a stroke has advanced tremendously, thanks to the development of stent retrieval devices that pull clots out of the blocked artery. Each device consists of a thin mesh column that is introduced into a blood vessel in the leg and guided up to the blocked vessel in the brain, where it captures and removes the clot to restore blood flow to the brain. The new-generation devices have an improved design that allows them to more easily surround and remove the clot. The first clot retrieval device for stroke was invented at UCLA. 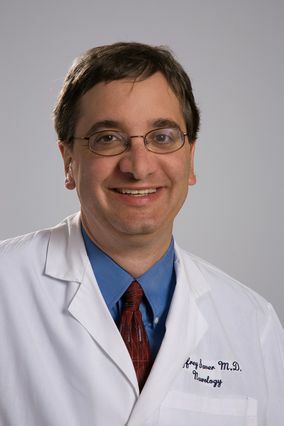 Saver said a number of changes should be implemented immediately across the entire spectrum of stroke care — including improving public awareness about the signs and symptoms of stroke, educating emergency medical crews to route patients to the appropriate medical centers, and monitoring the quality of care that people receive in the hospital. Other studies have looked at the impact of speed of clot retrieval, but those studies analyzed data from outdated trials that used obsolete techniques and devices. The new research is the first to use data from the version of the devices currently in use, Sheth said. In addition, Sheth said, the UCLA team took a more refined look at how stroke patients fared after receiving treatment. Instead of lumping them into two groups — “good” and “bad” — as previous studies did, the team used the results of detailed patient interviews and neurological exams to divide the patients into seven different categories, which more accurately reflect people’s experiences of recovering from stroke. Even when doctors are able to clear the blocked blood vessel quickly, not all patients recover well. In future research, the UCLA team will focus on ways to identify which patients are at an increased risk of poor outcomes, in order to improve doctors’ ability to provide accurate prognostic information to them and their families. According to the American Heart Association and the American Stroke Association, stroke is the fourth most common cause of death and a leading cause of adult disability in the United States. On average, one American suffers a stroke every 40 seconds and one dies of a stroke every four minutes. It is estimated that 795,000 Americans suffer a new or recurrent stroke each year. The study was funded in part by Covideon, now known as Medtronic. Saver and Dr. Reza Jahan, who also worked on the study, have served as unpaid site investigators in multicenter trials run by Covidien. University of California regents received payments for these trials based on the number of subjects enrolled. The University of California has patent rights in retrieval devices for stroke. Doctors Elad Levy, Jan Gralla, Raul Nogueira, Osama Zaidat and Vitor Pereira have served as site investigators and/or consultants for Coviden.